When I was a freshman in college I used to talk to people about their hometowns and through them I learned some interesting things. One of them was the existence of an enclosed shopping mall in downtown Oshkosh, Wisconsin (population 63,000). I had always wondered why a city of Oshkosh’s size never seemed to have a mall. I always assumed that competition in Appleton and Fond du Lac killed a potential mall before it became a possibility. I was wrong. Park Plaza Mall opened in the 1970s and was the beginning of a trend of downtown renewal projects across the country, as suburbs began to sprawl up all over with their Big Box stores, huge enclosed malls, and rampant retail strips. People realized even then this was sapping downtowns at the expense of suburban development, and in some cases the downtowns were failing completely. Rather than being faced with unchecked decay and blight, developers sought to resurge the languishing downtowns with destination venues, places that were more unique and offered a reason for people to escape the suburbs and come back downtown. They realized the traditional downtown with rows of stores and services along a series of main streets was no longer a draw because people were doing this type of shopping in the suburbs where they lived, so they thought long and hard. Someone came up with the idea of taking what was such a big hit in the suburbs and putting it downtown: enclosed shopping malls. Thus began the trend of enclosed, traditional malls being erected in downtowns across the country. Some of them have worked, but most have not. The logistics of getting downtown, parking, and most notably competition have taken a toll on these centers and made many fail, even after initial success. Downtown malls in places like Green Bay, Milwaukee, Appleton, Columbus, OH, and Worcester, MA have all failed or languished severely, citing these concerns. Park Plaza Mall enjoyed a period of success in the 1970s and into the 1980s, and was anchored by Sears, JCPenney, and H.C. Prange Co., a Sheboygan-based department store chain that went bankrupt and was purchased by the Younkers chain in 1992. The center was over 800,000 square feet in size, including anchors and office space, and included an U-shaped hallway with an impressive multi-level atrium with hanging modern art scupltures, common areas, and large amounts of office space above the mall. The mall had many of the national chain stores and was a regional draw, bringing in shoppers from Appleton and Neenah-Menasha in the north to Fond du Lac and the surrounding areas to the south. Appleton already had a downtown mall of its own and two very small, aged enclosed centers on the north and south sides of town, respectively, but they were not as large or as regional a draw as Park Plaza. In 1984, Park Plaza Mall experienced its worst blow as the gigantic Fox River Mall opened in Grand Chute (Appleton) along U.S. 41. Just 15 minutes north of Oshkosh, Fox River Mall immediately became a shopping destination for the entirety of the Fox River Valley region and all of northeast Wisconsin. Even today, people regularly make weekend shopping trips from several hours away in the Upper Peninsula region of Michigan to Appleton. Also, U.S. 41 in the entire Fox Valley from Fond du Lac up to Green Bay became the central location for retailers along the corridor, sucking stores out of downtowns in all cities along it. Fond du Lac’s Forest Mall was a quick 15-20 minute drive down U.S. 41 from Oshkosh, and also sapped shoppers from Park Plaza. Prime Outlets opened a massive outlet mall on the southwest side of Oshkosh adjacent to U.S. 41, and strip malls and big box stores began sprouting up along U.S. 41 and Koeller Street in Oshkosh. People once again began to ignore downtown Oshkosh, despite there being a mall there, for competition in Appleton, Fond du Lac, and along Oshkosh’s new main street, U.S. 41. In the early 1990s the bottom fell out at Park Plaza and the stores began to leave in droves. Sears left in 1993, and returned in 2006 as Sears Grand along the U.S. 41 corridor. Prange’s became Younkers with the buyout of the chain in 1992, but also left soon after. In perhaps the most telling move of local retailing trends in the 1990s, JCPenney closed their Park Plaza store for a standalone location along U.S. 41 near the outlet mall. It remains there today. During the mid-1990s developers realized the mall was transitioning away from a retail destination and allowed it by encouraging specialty stores and services to move into the mall such as a local book store and a kids’ art studio. More offices moved into the mall and the Park Plaza Hotel continued to be successful operations. In July 2000 I visted what was left of the mall on an acquaintance’s tip, and I was impressed. Even though none of the anchor stores were left and most of the stores were either vacant or converted to office space, it was very apparent it was once a large mall. Several of the corridors were left mostly untouched as public walkways and retained many labelscars which you can see in the pictures below. 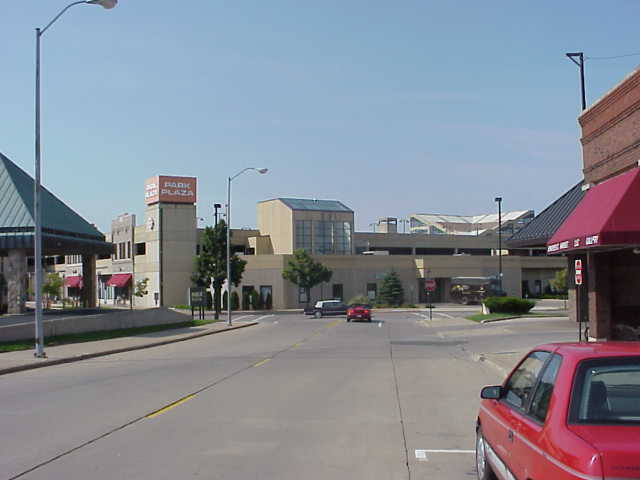 In 2001 the mall was renamed City Center as yet another attempt to revitalize the former mall and Oshkosh’s downtown was underway, though there is no current focus on the center’s retail viability. More office-type businesses have been wooed to the center since, and there have been talks of renovating and removing most of the mall’s former in-line space for more offices or other non-retail use. Some of this may have already happened. Let us know more about Park Plaza Mall! Leave your personal anecdotes, historical facts, or other comments here. Oshkosh had a mall? Now that’s news to me. I just thought they had the outlet center and that was it. Wow. Oh boy, have I got a lot to say about Park Plaza. I’ll also throw in annotations to your pictures, and a fairly complete tenant list from 1984-1985. Add in whatever you wish to your main post. Bear with the length of this reply…it’s worth it! I figured I’d share with everyone who reads Labelscar. First, your pics, which as always with all your posts, are great, and especailly with these, help to fire up my memories of this place. 01 – A bit unsure. The atrium to Center Court can be seen though. Looks like you took this one standing near the former Sears store. 02 – Main pylon sign on Pearl Ave.
03 – Side concourse. Left: Former Pranges / Younkers – Right: Bee Frank Ladie’s Apparel. 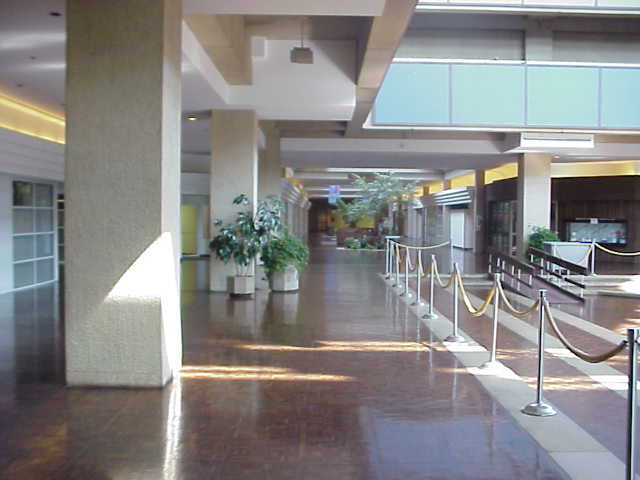 04 – The ‘River Mall’/ Pranges wing, looking West towards the Center Court. 07 – Center Court. Concerts, flea markets, and the Miss Wisconsin pageant were all held here in the past. As you noticed in your visit, it’s a huge area with a sunken floor, and an atrium reaching up 3-4 stories at its peak. 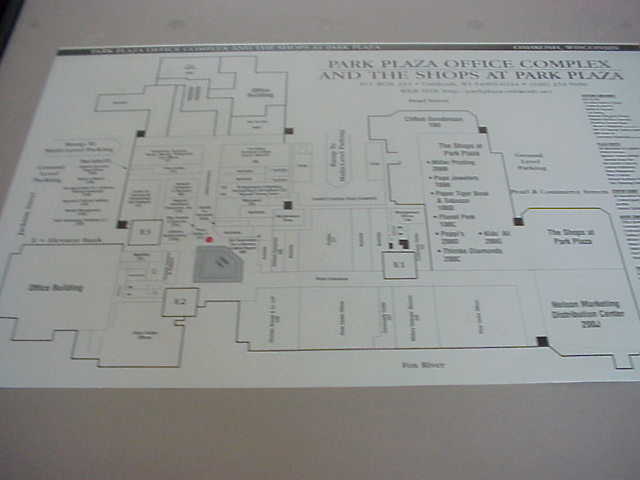 08 – Looks like they finally updated the mall map here. The shorter wing is the “Jackson Mall’/Sears Wing, the longer one is the “River Mall”/Prange’s/JCPenney wing. 1968- Building begins. The mall is slated to house over 60 shops, anchored by two large two-level department stores, Sears, and H.C. Prange Co. (Prange’s). A Kohl’s Food store would also join the mall prior to the grand opening. Parking would be limited on the street level, but over 2000 spaces would be provided by a bi-level parking deck…..on the mall’s roof! Access to Sears and Prange’s would be provided on this level due to the stores having 2 floors. The mall would also have access points via 3 stairwells/elevator areas..
1970 (October)- Grand Opening! 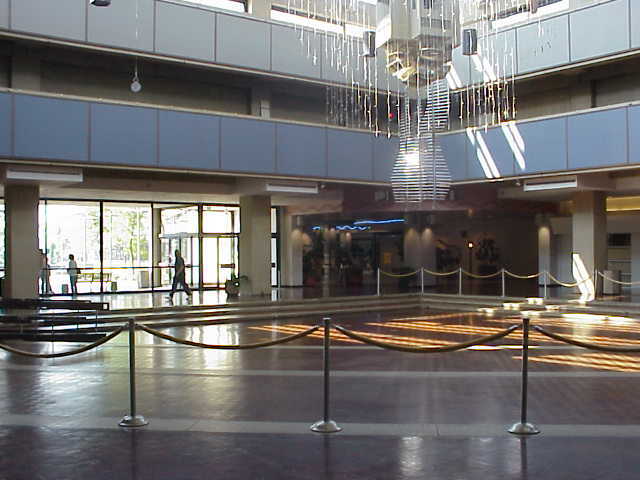 Entertainment is provided in the sun-filled center atrium of the mall. 35 shops, Sears and Prange’s are open for the big day. 1971- Kohl’s Food Store opens as the mall’s third anchor. 1972-1978- More shops added, eventually bringing the mall to 100% occupancy. In all , nearly 70 shops, services, and office spaces crammed into the sprawling complex. Late 1970s- A new bank/office building (originally a Valley Bank branch) and offices are built out, followed by the Oshkosh Convention Center and Radisson Park Plaza Hotel, completing the entire Park Plaza area as envisioned. Early 1980s- Food Court 1 (I’ll call it this for reference) built out of some former shop space in the Prange’s wing. 200-250 seats, joined with 1-Potato-2 (national), Orange Julius (national), Heros Subs (local), Plaza Pizzza (local) and Golden Oven Bakery (local). One of Wisconsin’s first food courts in a mall. Mall also recieves new carpet in seating areas, but is otherwise, left unchanged in appearance. Early 1980s – Kohl’s Food Stores closes. This space would never be re-filled. This is a minor loss, and doesn’t effect the mall’s overall business. 1983-1984- JCPenney shutters their aging store in another area of downtown (close to the mall actually), and relocates into an expansion of the mall that was to be office space in the original plans. Unsure of the exact year, but I’ve been in this store, and it looked like it opened after they dumped ‘hard’ goods. Becomes mall’s new third anchor. 1984 (August)- Fox River Mall opens on Appleton’s west side boasting room for over 100 shops, Sears, Target (1985), JCPenney (1986) and Prange’s (1986) as well as a huge modern food court. The effects felt were immediate to Park Plaza, Valley Fair (south Appleton/Menasha) (which had just completed a remodel/addition in 1980) and Northland Mall (north Appleton) (converted to a hybrid enclosed/strip in 1983) as tenants pulled out of all three malls when leases expire, all wanting space at the sprawling new mall. 1990- Food Court 1 is outdated and small. A new food court is planned, and built out after long-time mall tenant, The Grey Fox supper club, shutters (1970-1989). Titled ‘Riverwalk Food Court’, the building is gutted, and reconfigured. There is room for 8 food tenants, but only 5 end up occupied. Heros and Orange Julius move. Shoneburger’s Bakery, Taco Tugo (local), and Leon’s Frozen Custard (famous ice cream / drive in joints) join the line up. This new food court was ultimately, a last-ditch effort to save the mall, which by 1990, was half empty. The Sears wing was mostly vacant by this point, and the Prange wing is starting to lose longtime names. 1992 (August/September)- Prange’s sells to Younkers. 1993 (January)- Blow number 2 comes when Sears exits the mall after 23 years. The entire wing empties out soon thereafter. 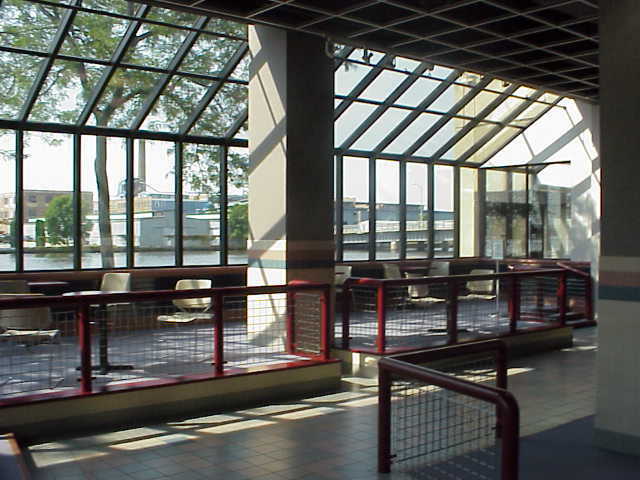 1994- Former Sears wing of the mall…it’s inline space, is reconfigured to office use. This part of the mall is now called ‘Park Plaza Office Complex’. The Prange/Younkers wing is retitled ‘Shops at Park Plaza’. 1995 (November)- The final nail in the coffin his struck with JCPenney and Younkers simultaniously announcing they will pull out of the mall for good. Only Penney’s would relocate to the Hwy 41 corridor. At this point, I wrote off the mall as ‘dead’, and moved onto other malls in my life. You’ve captured the rest from this point on in your post. Miles Kimball sold off the mall building in 2000-2001. What I found odd all these years is, that this mall never had a record/music store. Just a correction. This mall was more in the shape of a reverse-“L”, rather than a “U”. Where the two wings join at the center, is the huge center atrium. This mall was ‘it’ back then. Even into the late 1980s, when things started to slow down a bit, the mall wasn’t too bad. It was in the 1990s, when Fox River Mall’s hold, and the recent opening of the outlet mall (January, 1990 opening) really sucked the life out of this mall for good. Bankruptcies of store chains (Thom McAn, Chess King, Brooks, Kinneys, etc) didn’t help either. Ahh, but the memories of this place in its heydays. My first escalator trip was at the Sears in this mall..1984, and 5 years of age. Ahh…. For a kid at that age, this was a HUGE mall, bigger than Forest Mall in my hometown. The hexagon-shaped penny fountains, the subdued decor (lots of wood tone colors in this mall as you’ve noticed. The floor tiles are linoleum in a pattern that looks like parquet wood), the dimmed ceiling lighting and tracklights behind the wood signage paneling, the ‘muzak’ piped throughout the concourses of the mall. Those side hallways adjacent to the anchor stores were long and dark even in the daytime. Aladdin’s Castle was always a ‘must stop’ for me, and this was where I got my first sampling of that mall staple of drinks, the Orange Julius original! Christmastime at this mall was also something else. Center Court was completely turned into a ‘North Pole’-type setup, Santa Claus and all. Truely magical, and sorely missed by this dead-mall-a-holic. They should actually try expanding the Convention Center into the mall. Gut out some former store space and such. I read somewhere they were having issues with expanding the convention center. Thanks a million for this one you guys. As always, keep up the excellent work. I do hope my ultra-lengthy response was informative to you and to the blog’s followers. As I’ve said, feel free to share the importaint details. I grew up in Oshkosh. Your history of the mall is impressive but you are mistaken, there was a record store in the mall. I remember it being open circa 77/78. If you took the elevators down from the parking ramp and came out by the restrooms and walked into the mall, if you took a left you would head toward Prange’s/Waldenbooks. If you went straight you would hit the aisle that became the food court. Back in 77/78 the record store was kitty corner to the right of that, pretty much in the vicinity of what became the Orange Julius by the early 80’s. On that hall that I mentioned that connected the stairs/elevators to the mall were a couple of businesses you didn’t mention. There was one one side a tobacco store and on the other side was a plaster works store that sold little statues and bric-a-brac. It was ran by a man named Pedro, my father would hang out there and talk with Pedro while my brother and I ran around the mall. Worked in the Waldenbooks, the Sears and I opened the Hero’s in the mall – first thing we served was a gyro. There was for the longest time right when the mall opened just a bakery in that stretch that became their food court. Also predating your time there, the very large unit where the wings meet that would outside abut on the river and Pearl St. [I think part of it now is a restaurant called Becketts’ ]…anyhow, this was a Kohl’s Grocery Store – yes, the mall had a full-fledged grocery market in it. Thought it was boring when I was a kid, went to Madison a lot and East Town/West Town and Westgate spoiled me. Hindsight is 20/20 and I have some great memories of the mall as a kid & teenager. Don’t forget the short lived Plaza Video vhs rental store that occupied the former grocery store area. Sorry, I just saw someone already posted about the Video Store below. Just happened upon this thread while chatting with a co-worker about having worked as the original manager of Park Plaza Video in Oshkosh. @Matt, I also worked for many years at the Kinney shoes which was across from the Pet store and right next to GNC down on the River Wing, and there was also a Musicland in the mall during the 80’s. That spot had also been Team Electronics when the mall opened and I believe Radio Shack was there too. The Musicland pulled out of the mall one night. They packed the place up and were gone in the morning. There were also a local sports store as well as a Chappies which was a regional chain at the time. You remember a lot. I was 17 when the mall was built. I loved it! I remember Thompson & McKinnon an investment office on the south side at center court. A bunch of retired guys would sit in there watching the stock reports run by in banner style up on the wall. Yes, I seem to have a photogenic memory. With my eyesight not as grand as other folks, I didn’t and still don’t take it for granted. I looked at ‘everything’ in those younger years of my life and still do. Helps me in situations like this. Admittedly, some details are fuzzy for me, so I appreciate corrections and additions to my lengthy write-ups. Still do miss this mall to this day, but it seems to be humming along as an office building with Beckett’s there. Wow, thanks a lot for that very informative post. You’ve definitely filled in the holes to complete the history for this mall. Park Plaza is one of the more interesting stories in the area since many people have no idea it was even there, and it died before a lot of other area malls started to falter. The store list you provided from 1984 reminds me of several mall stores I remember from malls in Madison, Janesville, Beloit, and Rockford, Illinois. Growing up in the late 80s and early 90s, my parents frequented these malls the most. I remember Hal’s Sportswear – ours had diagonal wooden paneling and huge display-case windows looking out into the mall. The store also had pea green shag carpeting, which was alarming and very much out of date by the time I saw it. Also, my mom used drag me into id boutique ALL THE TIME. I’ll never get back the many hours of my life spent waiting for her while she was in the fitting rooms. Their simple black and white logo was cool, and had no idea they were owned by Prange’s. That explains why they disappeared when Prange Way finally folded up in 1996. 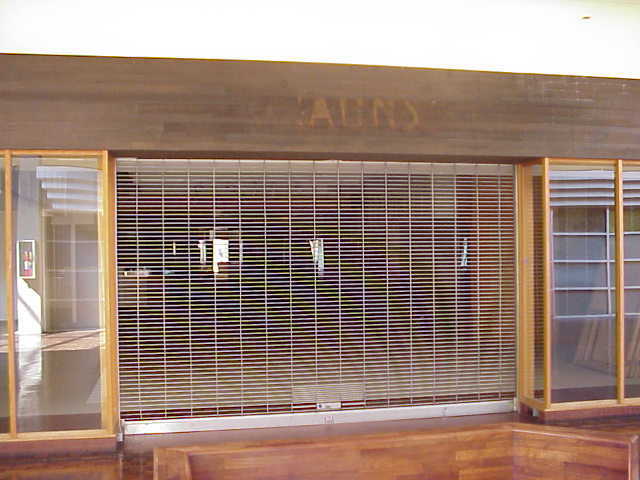 As a side note, I found a completely preserved one in 2000 in the St. Croix Mall in Stillwater, MN, but it has since been torn down. I agree that they should find some way to revitalize the space, since retail is obviously a failed option there. Bu at the same time, it’s still cool a piece of retail history is just sitting there all alone. Thanks again! A couple of comments regarding Matt’s post above. First off, it is very thorough and has brought back a lot of memories. I grew up in Oshkosh and remember when the mall opened in 1970. It was a huge deal and Park Plaza was THE mall in this part of the state for several years. Regarding Matt’s mention of the parquet wood floor, it was real wood. It started to deteriorate in the late 70s/early 80s and the pieces of wood were actually coming out in places. Perhaps it was replaced with linoleum as Matt mentions. Also, it seems to me there was a record store in the mall at one time. I don’t remember the name or the location within the mall, but I am fairly certain one was there. I can’t remember what wing it was in but I think it was on the left as you faced the wing’s anchor, either Sears or Prange’s. Well, Oshkosh has had The Exclusive Co. (An independant chain of music/audio stores that has locations throughout Wisconsin) downtown for years, and it may be the reason why whatever music store was in Park Plaza, didn’t last long, and was obviously gone by the time I got my first visit to the mall. Didn’t know that those floors were real wood either. Thanks for the correction. It’s hard to tell sometimes. 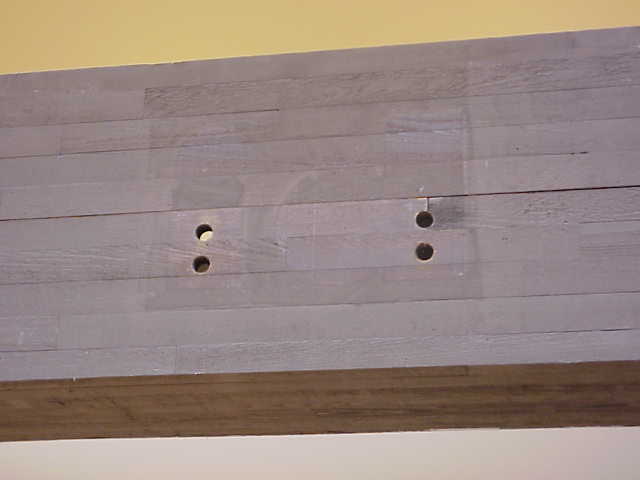 I know that the boards where store signage was installed were real wood. @D.P. Kloiber, I also remember a couple of temporary things in the space before 1979 when I left the area. One I think was an overstock business. I was born and raised in Oshkosh and my husband in Neenah. We had our wedding reception at the Grey Fox, October 20, 1973. Your article has been a trip down memory lane. Thank you for all of your efforts preserving this historical account of our wonderful home, Oshkosh, Wisconsin. Memories in our hearts will stay with us forever. D.P. Kloiber, I, as well as many others here, would be interested in any other bits and photos you could share about Park Plaza. For me, it was always a treat to go to this mall when I was little. It was just so HUGE and full of life. Also thanks for refreshing my mind on the video store that occupied that end of the mall where Kohl’s once was. I thought it had been vacant after Kohl’s left, but that slipped my mind. i grew up in oshkosh and my mom worked in the food court at the mall from 91-93, so of course i was always there. seeing the old photos brought back to many memories d.p. i would love to see your photos of the mall if you could email them to me aquafeenna88@aol.com i would really appreciate it. i now live in appleton down the road from the old valley fair mall which is another “dead” mall due to the fox river mall opening. the only thing left is this mall is a old value cinema which is staying there. you walk in the main entrance (hallway) for the theater and you look to both your sides all you see is broken, boarded up windows, trashed old stores and graffetti and its very disappointing. this site also shows pictures of what it looks like now and the parking lot even has huge potholes. http://en.wikipedia.org/wiki/Valley_Fair_Shopping_Center is the site to check it out for valley fair. its disappointing that 1 mall (fox river) can have such an effect on the small older malls. i might be in my early 20’s but i hate going to the huge busy mall with all the teenagers, they think they own the places! The record store was a Musicland. It went under about ’82 or ’83. A magical place where I first discovered Soft Cell and the Tom Tom Club. I was a little high school hipster in those days. One week I showed up and it was gone. I was not a hppy camper. Here another bit of info about the Park Plaza mall. On the first anniversary of the mall I won first place in a photo contest with a picture I took of the mall from the Jackson street bridge at twilight with the mall lit up with it;s lights. The photo was used for TV advertising of the mall plus it was used in print advertising. The benches in the mall that were made out of wood strips were made by my uncles company. I was born in Neenah in ’74 and growing up Oshkosh meant two things to me: Leon’s and Park Plaza. The thing I remember most about the mall was its very distinctive smell (a good smell, not like Kaukauna’s smell ;)). I think it was probably the real wood flooring and benches that contributed to the smell. Also probably contributing to the smell was a tobacco shop on the Aladdin’s Castle side of the mall. My family’s most memorable experience at the mall was a visit in the winter months. The main floor of the parking ramp was full so we had to go up to the roof, but the exposed ramp to the top deck was so icy our late 70s vintage Olds Cutlass could not make it up. For years after I would help “push” the car from the back seat by pushing on the front seat as we drove up the ramps. I also remember that the AM radio would go dead when we drove down the exit ramp onto Pearl Avenue. I guess the concrete was especially thick on that side of the building. Last time I was in town, the parking lot ramps were barricaded by some very ugly concrete barriers. Glad to see that there is some life left in the place even if it isn’t a shopping mall anymore. Also glad to see that the metal mobile sculpture thing is still hanging in the atrium. That was fascinating for me as a child. Before I forget, to whomever had those images of the mall and the extra info, please feel free to send them to my email: progrockfan28@gmail.com I’d greatly appreciate it. So Musicland once had space in the mall. By the time I got there, they were already gone and something else must have taken their space. Not suprised though. I’m not sure when The Exclusive Co. opened up, but that had to of been a contributing factor. That ‘tobacco’ smell was probably from Paper Tiger. Most (if not all) Book World stores and their franchised operations under different names sell pipes and tobacco. I, of course, didn’t smell that as much as I did the chlorine aroma from the fountains that dotted the mall. I hated (and still do) parking on the very top teir of a parking deck. Slight fear of un-enclosed heights….got to be in a more enclosed environment. Reading through other posts since my last one on this mall, it’s great reading about all the local work that went into the mall. A local construction company in my town (I live in the Fond Du Lac area) was given the task by Simon Property Group to build out the Forest Mall back in 1971-1972. I’m sure to date, that still has to be one of the bigger projects they’ve had to take on. Sometimes, admist all the talk of economics and the retail trade that goes on in a shopping center, one often overlooks the local manpower it took to get the place up and running in the first place. Oftentimes, local construction companies, electrical and plumbing contractors, and (in Park Plaza’s case) wood mills….all have some involvement. It’s probably seen as an afterthought on purpose, since, as we have witnessed, and still are, malls are often reconfigured or outright torn down in the name of progress. If people knew every last detail of local industries and businesses that helped to make a mall thrive in its heydays, it would be rather disheartening. C- my post above about the tobacco store – that’s the source of your tobacco smell. The mall also was, at least up until I moved out of Oshkosh in 1990, a smoking OK facility. The Paper Tiger didn’t sell tobacco to the best of my knowledge. When it first opened it was very small and right on center – court, the sloping side directly across from the Grey Fox. Walden’s sold hardcover and paperbacks and at that point the Paper Tiger was a lot of magazines and a couple aisles of paperbacks. The aisles were very narrow and you were always in someones’ way. Around that time the arcade was right across the mall from them as you headed toward the grocery store. Both stores relocated to the wing of the mall that Sears anchored when spaces opened during the hard times of the 80s. I worked in Sears starting around 86 and the economy had really hit the mall hard. They had just laid off most of the full time folks and broken down their jobs into part time jobs without benefits. The people who remained were pretty salty and despirited. I remember the first year I worked there at Christmas, I think we had more managers than hourly employees. I remember one stretch where there were maybe 4 hourly employees working the entire first floor and the customers were not happy about not being able to find a clerk while doing their Christmas shopping. Between 86 & 90 when I left the mall really took a beating, I remember a lot of the wing with Sears having openings, but the mall seemed to be hanging on. They did a great Christmas there. I remember the Prange’s would convert park of their stockroom to a Christmas menagerie with all sorts of dioramas depicting holiday scenes and at the end was Santa Claus. I was thinking the same thing. Countless hours at Aladdins Castle and at the food court. I also remember doing Easter egg hunts there and riding the train they would set up in the atrium during Christmas. I remember always thinking how magical the atrium looked during Christmas time! I also remember playing for the school band in the atrium after the Miss Wisconsin parade and at Christmas time. Place brings back a lot of cool memories for me. Wow! I stumbled across this page looking up the history of Oshkosh. This definitely brings back from memories! I used to think the staircase in JCPenney leading down from the parking ramp was amazing. And the decorations at Christmas were always so gorgeous. Unfortunately I only remember Penney’s, Younkers, a jewelry store near the center, a t-shirt shop where you could pick a design and they would make it for you, and Vanity. In later years, my best friend and I would go to the abandoned mall to study. We would sit in the empty food court — it was even quieter than the library. We also toured the veteran’s museum a couple of times. In high school, I worked at Eastbay so I got to see minor changes to the interior throughout time. found the site while looking up “Park Plaza Video” (I was store manager when it opened). Mostly great memories! I attended UW-Oshkosh in 1985-86 and walked over to Park Plaza at least once every week. It brings back fond memories. I just assumed the mall still exists today as I remember it. Wow was I ever wrong. Thanks for all the info. Had a little downtime at work and decided to see what became of the mall my mother and I frequented. I can still remember the smokey smell, the video store that used to be Kohl’s grocery and spending hours at Waldenbooks! I’ll never forget the cardboard like pizza served at the “remodeled” foodcourt, used to be a fine restaurant I think? Anyway, good news! Part of the old mall, now turned office complex, has been remodeled into a riverfront restaurant. The article from the Daily Northwestern is dated August 2008, and hopefully the place is still open so I can visit next month when I’m in town! Thank you! This brought back so many memories. I graduated from Oshkosh West in 1985 and the mall was THE PLACE to be in Oshkosh at that time (along with Skateworld). Every time I’m in Oshkosh I think about stopping in and checking out the old mall. Very sad that it died the way it did. Around Christmas, all of the parking ramps were full and the center court was absolutely gorgeous. I frequented the mall from 1981-1988. My favorite part of the good old days were the decorations they would cap off all the fountains and decorate. I don’t remember a chlorine smell in the fountains, but a stink of lake water. I have been into it since it’s “death”. It’s not visitable any more except on the outside edges, BUT You who remember the good ole’ days will be happy to know, they put Carmel crisp there!!!! YAY!!! It’s now completely capped off and only workers inside can go in, the Old isles are parts of office and factories 🙁 The old facade is intact and that’s it. Paper tiger is still visitable, Carmel crisp, a Coffee shop, the Symphony office, and one of the old jewelry stores are all waiting your stroll down memory lane! I work at the Grand Opera house and found this looking for a story on Oshkosh’s history. Thanks for having it! How many people know that Park Plaza’s architect, Welton Becket, also designed the Capitol Records building in L.A.? Does that have any relation to the new resturaunt named Becket’s that opened on the jackson side of the city center? Daniel–Yes, the restaurant is named after the architect. Here’s a link to their website with the information about Welton Becket being the inspiration for the restaurant. On a separate note…I have many memories of going to the Park Plaza mall with my family during the mid to late 70’s. I grew up in nearby Neenah and it was considered quite the “luxury” to be able to go shopping at an indoor mall, especially during the cold Wisconsin winters! I have vivid memories of going to the mall on the weekends when they’d have big events, specifically the weekend of the annual boat show. Boats of all shapes and sizes would be crammed into the mall center court and hallways and the mall was always packed with people. As APM mentioned, the mall did have a distinctive wood and tobacco smell. I believe the tobacco smell came from the small tobacco store that my dad frequented during a pipe smoking phase–I always loved the way that shop smelled. I also remember the fountains and how they would cap them off for the holiday decorations. My parents would always park in the ramp so that we entered the mall through Sears. Since the parking was on the top of the mall, you had to take the escalators down to the main level and I remember that the Sears escalators ended in the home appliance section and they always seemed to have one of those plexiglass-fronted dishwashers (so you could see the interior in action) right at the bottom of the escalator and they always fascinated me. Strange, the things you remember from your childhood! Also–I’m almost positive that Younker’s left the mall in the summer of 1996. It was the summer that I moved to Oshkosh and I remember them having their store-closing sale at the same time. @apm, Ack! Meant Fox River Mall, of course. Spent some time in the Chicago ‘burbs as well, I get their names turned around in my head. @apm, I agree–I’d love to see a story here about the fiasco of Appleton’s Avenue Mall. And, you’re correct that it was modeled after the Grand Avenue Mall in Milwaukee. 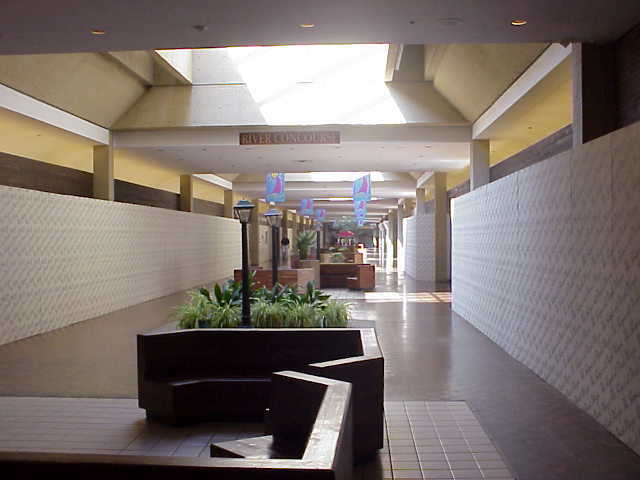 It would be cool to learn more about “The Avenue” mall in Appleton. That mall is a very memorable place for me being a kid growing up in the 90’s when it was a living mall. I would go there regularly with my mom, when Younkers was still part of it. I was always fascinated by the interior of the mall, and the waterfall type fountain that starts at the second floor level and goes to ground level. I found it very interesting that the Avenue Mall in Appleton was modeled after the Grand Avenue in Milwaukee. If anyone has any pictures at all of The Avenue in Appleton , it would be awesome to see them. Especially when the mall was in its day. mid-late 90’s. This was a great walk down memory lane. 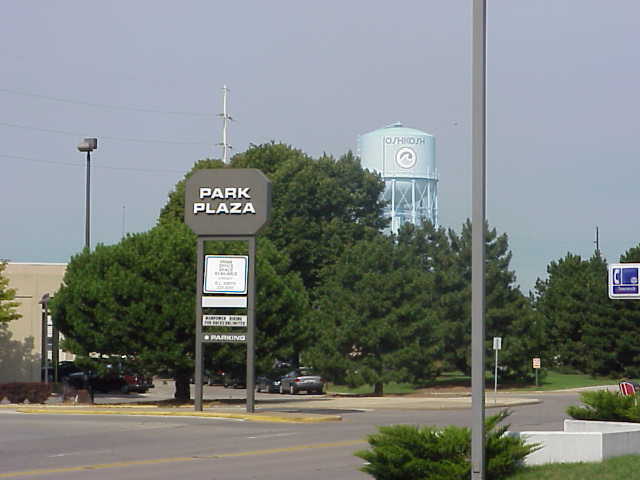 I moved to Oshkosh in 1968 and distinctly remember the day Park Plaza opened. My best friend and I walked there barefoot (!) that day (we were about 9 or 10 at the time) and checked the whole place out. I remember distinctly that we were barefoot because when we went into the Bee Frank store we were scolded for running around in dirty bare feet. Yes, in the 70s there was a tobacco shop, and a t-shirt store where you’d pick out your iron-on picture, and they’d put in on the shirt of your choice. I shopped at id (it was spelled with two lower case letters) as a teen, and in the HC Prange store, next to the escalator was a covered area full of cool doo-dads for teens, like those fuzzy feet that you’d stick on your wall, blacklight posters, and incense. Later in life, as a young mother in the late 80s and early 90s, this was a favorite destination for me. In the winter, we could come there, and the kids could run around. We’d go to the Sears studio for photo shoots, have an orange julius, and shop. I was at Becket’s for the first time recently (the restaurant that opened last year), and was pleased to see that they used the old benches from the mall for booth seating. It is in the area of the mall where the Kohl’s food store was. Thanks for all of this! Anyone with old photos of Park Plaza, I would like to see them, preferably 70’s/early 80’s. Am also interested in photos of downtown Oshkosh from the same era, river to 700 block. Post to regularjoe1365@yahoo.com – thanks! Whats up! Excellent idea, but might this truly work? Memories! My wife and I were in a dance marathon held in the Center Court back in the late 70’s. We were sponsored by WBAY-TV (Green Bay) and danced for 72 hours to raise money for charity. Grand prize for the couple that raised the most money was a pair of Ford Mustangs. Second place was a pair of mopeds. As the final hours took place, a wild bidding war broke out – fueled by friends and family of the top 2 couples – my wife and I being one of them. In the final minutes – checks for $1,000 dollars were being written – and when the final bell rang, my wife and I lost by just a few dollars. We did end up with the mopeds. Somewhere, there’s archive footage of us & Jerry Burke – longtime WBAY anchor. I also ended up with a hairline fracture to my ankle from 72 hours of abuse. Just been in the old mall. Took a shortcut to Main St. by a backdoor though Becket into the main plaza area. From what I could see the main court is still used for big dinners and events. There were tables set up with everything when I went though a few days ago. The Main Street part of it is cut off for the Eastbay Co. and others. Otherwise the rest of it looks very much the same as it did 20 years ago , Strange to see. Having a big event in the Center Court on 12/13 11am-2pm for City Center employees. Need to get in touch with the City Center manager – Deb. Anyone know how to contact her? Thanks. Wow, what a shame. I remember that mall well. Used to go to the Grey Fox as you could dock your boat up to it. Sadly Oshkosh is just a shell of what it used to be. Everything moved out to the west of town from what I heard. Last time I was back to oshkosh I was shocked at just how bad the downtown area had become. What a ghost town. I too remember the pipe tobacco store. It wasn’t in Paper Tiger but a separate entity. Aladdin’s Castle arcade was always the happiest place in the mall. The location in the Sears wing was best, years later they moved it closer to the center court and the game selection declined. Many paper route pay checks went into the 720 and Dragon’s Lair machines. Somewhere around 2003 or so, the mall hosted the annual WineFeast charity event for the Oshkosh Boys and Girls Club. It was the only time it was hosted in the old mall. Restaurants and wine vendors set up tasting booths in both wings and people ate and drank themselves stupid. All for the kids, of course. It was cool to see everyone having such a great time in this former monument to consumerism. If I can find the pictures I took I will post a link. @Ryan, the tobacco shop was The Tobacco Wharf which was right across from where The Record Shop used to be in the River concourse, by the elevator. The Paper Tiger used to be Mueller-Potter’s Sight and Sound (yes I was related to it) selling cameras and photo equipment, and it was there from 1970 to 1976 or 1977 if I remember right, but the lease space got too high so we vacated to the Tiger. That’s too bad that this mall closed. I live on campus and it would be nice to have a mall within walking distance! I could have all my shopping done without having to take the bus and I could even walk to work. Too bad. I remember why my mother stopped coming to the mall that I don’t ever see discussed. It was when they started charging for parking. We lived about 15 minutes from Oshkosh, the same from Neenah and about 20 from Appleton. That gave choices and as a shopper, she was annoyed at being charged to park at the mall even though it was something on the order of 10 cents. I’m guessing that was per hour but I don’t remember seeing the place again until I got my license and watch the place empty out in the 90s. Someone mentioned the floors were linoleum and looked like wood parquet. No, they actually ARE wood parquet. I wonder how many pieces there were/are. It’s quite obvious now as some the parquet pieces clack or move a smidge in some areas. The most clackety areas looked like it was from some slight water damage probably from leaks. Yep, someone corrected me on that one a long while back (read above replies to my original historical take / memories). Lots of wood, fountains, and seating areas in this mall, I remember that much. Going by accounts and memories of others here after (and including) mine, it sounds like this mall was already beginning to struggle way before the likes of Fox River Mall and the southside outlet mall and other U.S. 41 retail developments came along in the 1980s/1990s. I do remember in the late 1980s and into the ’90s, there was so much tenant turnover (shuffling of tenants, locals coming in and moving out within months- 1 year) that I couldn’t even keep up. I’ll bet not even the poor folks who had to update those old fashioned table-top directories could keep up. Sure wished there were images out there of when this place was in its heyday as Oshkosh’s retail destination. Back when all you found out on the highway was the Howard Johnson, K-mart Plaza, a smattering of fast foot joints, and the Copps Supercenter / Menards shopping area. That would really get the memories rushing back like a tsunami. @Tim, I thought they always charged for parking. Maybe they did waive the charge for a validated mall store receipt, then discontinued the practice. But I couldn’t swear to that since I usually walked from the campus and used it perhaps once. Someone left a comment maybe three above about their parent being unhappy when the mall started charging for parking. I am pretty sure that the mall always charged for parking from fairly early on. it was a nominal amount but you also have to remember that times have changed a lot. I remember when Main St had parking meters and I think that they were on the order of ten to fifteen cents an hour and that was contemporary to the mall charging for parking. I think that there were rare occasions where they waived the parking fees, peak Christmas weekends maybe but free parking was not an amenity that was offered here by and large. I think it was “Tobacco Wharf.” My brother and I would buy “Jose Melendi” cigars there. My dad was Operations Manager at Sears in this mall from 79-86. Dad’s up in Madison now at Crossroads mall Sears. 40 years! As you can imagine I spent plenty of time there in that mall. My first pair of glasses, shoes, Santa Clause visits, etc all happened at park plaza. I remember learning to read all of the mall signs and my sisters were in the fashion shows! We had lunch at Heros and played video games at Alladdin. I remember all of this so well! Also, I was a student at Emmeline Cook and Trinity Lutheran School. Heard that the entire downtown area is not pretty much a ghost town. entire blocks of empty stores and large open areas where there was once industrial buildings and college dorms. Very sad. I remember that Mall. Was there in the late 70s. It was very nice. Heard that the Pioneer inn is gone also. A dying town is a sad thing to see. I MOVED TO OSHKOSH IN 1979 AND IT WAS A GREAT PLACE ON THE WEEKENDS AS A COLLEGE KID TO HAVE SOME FUN AND SHOP. I USED TO GET A HAIRCUT AT THE BARBERS NEXT TO KOHLS SUPERMARKET.WE WOULD ALWAY’S PARK ON THE ROOF AND COME THRU THE DEPARTMENT STORE. I REMEMBER A STORE CALLED W.A. CLOSE FOR CLOTHES. WHENEVE I WAS IN OSHKOSH, I ALWAY’S TOOK A WALK THRU………. Thank you for all the memories. I was born in Oshkosh and lived there until I was seven (1976). So I have many wonderful memories of Park Plaza. I just found today that my adult son is moving a few blocks away from there. @Todd, Woa….so those two tenants had been there since close to when you moved away in ’76. That’s news to me if so. Both were there……well, Baskin Robbins until 1986-87 (they kinda started to retract their nationwide location count at that point), and Aladdin’s Castle ( I remember under the Bally’s name….first suite right side coming out of Sears in 1984-85, next to Coe Drug) until 1994-95. They were one of those holdout tenants back then. Park Plaza holds so many memories for me. It’s not often where I don’t go a day without recalling them. It was an old (by the mid 1980s) but grand mall back then. I still rather miss it, but am kind of glad it died as quick as it did. I would have hated to see what it may be like nowadays. It’s nice that it’s been completely re-purposed as a useable building for office space, even though only workers can now even see the former common mall areas. I sure wished vintage images from the 1970s – 1980s would turn up someday.. There is a Facebook group pertaining to Oshkosh history that is maintained by someone that I went to school with. There are maybe twenty photos of the mall there. You have to forage around in the photos to find them, there isn’t a folder that is dedicated to Park Plaza photos. I realize that some people are not big on FB but I don’t think that you need to have an account to look through the photos on this group. Thanks a million for that link, Tim. I am a FB user, and looked at that entire image set. While I was not around for the days when people went downtown to shop at the various ‘five and dimes’ and the various local and regional chain stores, seeing images of those days was also a treat. For me though, the memories were jogged with the vintage K-mart, Copps / Prange Way, and Park Plaza photos. This mall saw so much turnover in tenants and more permanent names doing some musical chairs around the mall to make room for other stores (especially in the early 1980s when JCPenney jumped down those few blocks down Main into the mall itself and the mall’s first food court was built into other inline space), it can be hard to keep track of who was in there, when, and for how long. @tim, that link no longer works. Apparently it’s been taken down as I couldn’t find it in a search on Facebook either. I had been looking forward to seeing the pictures. My father owned one of the early stores in Park Plaza: Brides Showcase, a bridal store in the Pranges wing (third store on the right after leaving Pranges). After several years, he moved on to other businesses, and the space was briefly occupied by Marjorie’s (a wig store that had been in another mall location), and then the space became the entryway for the new Penney’s anchor. Sears moved into the K-Mart by U.S. 41 and became a Sears Grand before closing in 2009 or so; it now sits empty. A new Sears storefront store is a few blocks away in a minimall near the Walmart Supercenter.. The Penney store in its “new” location on the city’s south side is somewhat by itself now, except for a nearby Rogan’s Shoes. Most of the rest of that mini-mall is vacant. I remember the Record Shop as the music store in the Prange’s wing. There also was a travel agency in the Sears wing right near the center court in later years. Interesting note: the parquet wood benches that used to grace the mall near the fountains have been repurposed as the seating in the Becket’s restaurant. I don’t believe there was ever a baskin robbins… I believe the ice cream store was bresslers. Great posts. Grew up in Oshkosh, graduated high school in 1990. I would like to add two comments. First pertaining to the parking ramp, and secondly to the most unique feature of the mall. A feature that only one of the replies even briefly mention but, to me, was the best feature of the mall. First the parking ramp was always exciting to use as a kid. I would be so disappointed when my mother would park in the surface lot be Kohl’s. Parking in the ramp was a a unique treat topped off with an escalator or elevator ride. The simply things that can impress a young child. Parking was initially 11 cents an hour( ten cents plus tax). There was a real person in the “Toll Booth” as you exited the ramp. Again, not that common in the area. In the mid 1980’s they changed the parking rate to 10 cents. It was something about the mall picking up the tax for the shoppers. Now to the most unique feature of Park Plaza. The location and access to the Fox River. While at the mall, the fact that it was on the river had little bearing to most shoppers. “Helpless Mammal” mentioned boating at the Grey Fox supper club. Yet no one else even mentions the river? The atrium opened up to the river. 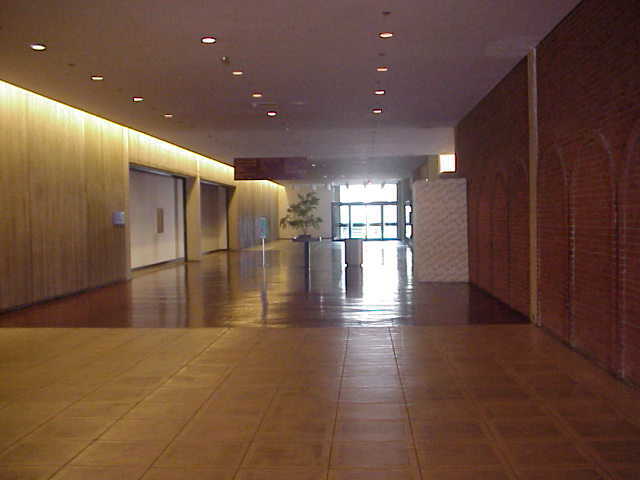 If you exited through the atrium doors there was a nice cement tiered patio and boardwalk the entire length of the mall. The whole breaker wall was setup for mooring boats. This means you could shop at the mall via boat! how many malls do you know of that can make that claim? I saved my paper route and birthday money for years. That (with the help of my parents) was used to purchase a 15 foot run-a-bout when I turned 14. In WI a 14 year could get a boaters permit. This allowed me to operate a boat without adult supervision. I kept the vessel at Al’s Marina directly across from the Pioneer Inn. Although I was not old enough to drive, Me and my companions would “Cruise” to the mall. It was Great!! We would tie up the boat and enter through the atrium. We would go to Kay Bee toy’s to buy water toys, purchase mountain dew and other provisions from Kohl’s, and maybe top it off with a trip to Hot Sam’s. I am in need of pictures or videos from the 1980’s of Oshkosh. I really enjoyed this. I moved to OK in 1990 with a son born the same year and was delighted to have my own personal mall. We would regularly stroll in winter (a new experience for me). I was amused that they charged for parking – 10 cents per hour – which certainly could not have paid the attendant’s salary. We loved Hero’s, and were sad when they sold and new owners just didn’t get it. I know they were out of the mall by then; just sayin’. The article suggested that the FdL Forest Mall sapped some of Park Plaza Mall’s business. I seriously doubt it. Forest Mall could not compare. It never was as big nor as interesting. Forest Mall did draw away the FdL downtown shoppers. Originally the entrance on the north side into the anchor store (don’t remember the name) was without regular doors during opening hours. It was a wall of air. In the summer you’d be outside in the heat, cross the threshold and be in an air conditioned environment. Later I believe they installed automatic doors. 2005: Miles Kimball corporate offices are relocated to City Center, formerly Park Plaza, which was opened by Alberta Kimball in 1969. This sounds as though the family/company still owns the mall property. According to the website, Miles’ widow, Alberta Kimball, died in 1996. The company also built a separate distribution center elsewhere in Oshkosh in 1999. The Miles Kimball parent holding company, Silver Star Brands, also owns several other companies, including venerable mail order firm Walter Drake. I remember the personnel office had been there at one point but I believe it moved out to the distribution center on the west side of 41.